The best track for the most thrilling races! 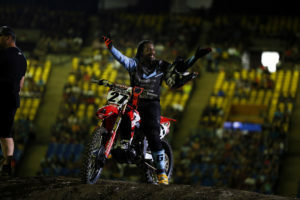 The track of the 20th Barcelona Supercross & Freestyle features all necessary elements to provide the most thrilling races and the best action-packed racing show. 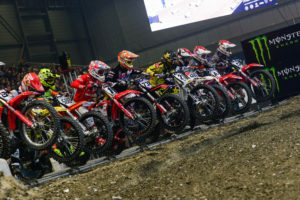 Table tops, 180-degree turns to allow breath-taking overtaking manoeuvers, whoops section with 10 elements aimed at putting SX riders to the test… Fun and action! A long section that will host the triple and double jumps and allowing the riders to take different options (they may choose between riding a triple+double combination or double. As it’s been a tradition in Barcelona from 1990 to 2008, a great track for a great event. 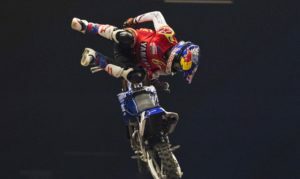 Barcelona Supercross & Freestyle: less than one month to go for the big comeback!